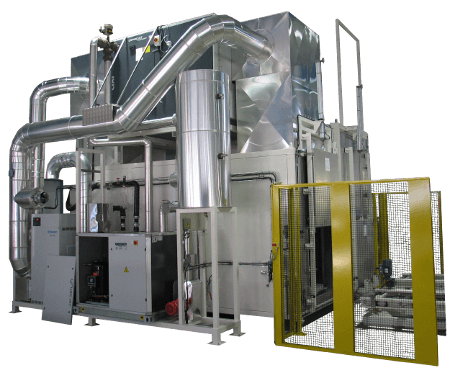 ELMETHERM manufactures a wide variety of custom batch curing ovens up to 300m3 (10,000ft3) to accommodate your special requirements of temperature, uniformity adapted to your process and product. Temperature range starting from +20°C above workshop temperature up to 600 °C. Our batch ovens are suitable for all industrial processes such as preheating, drying, curing, polymerization, vulcanization, annealing, cooling etc. 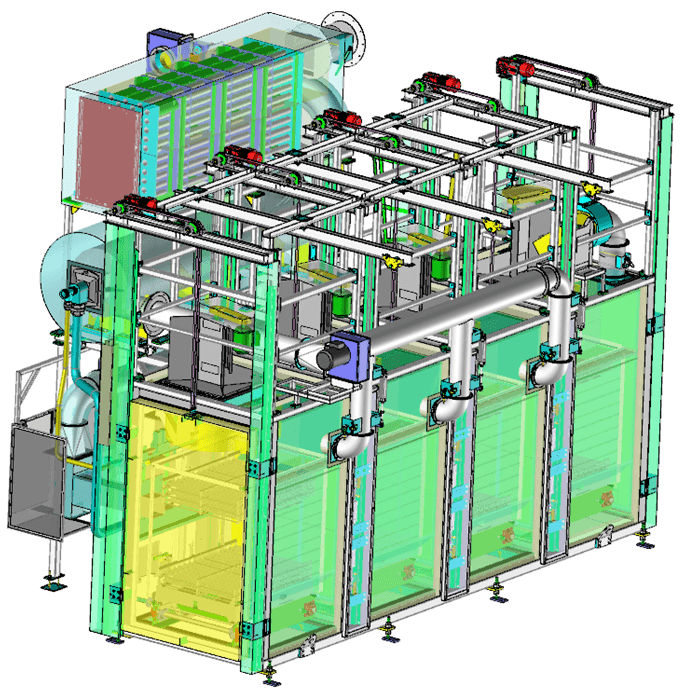 Based on a very robust, continuously welded structure frame with a tight internal lab that meet the requirements of processes with solvants. 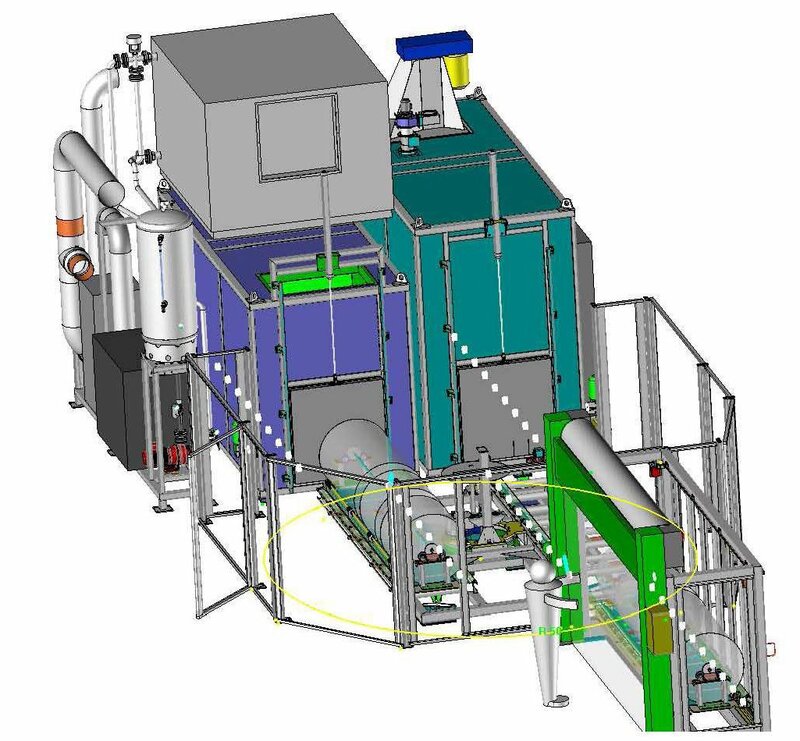 Specific studies enable to calculate the quantity of fresh air to enable the ideal exhaust of solvants in order to comply to norms about explositivity risks. 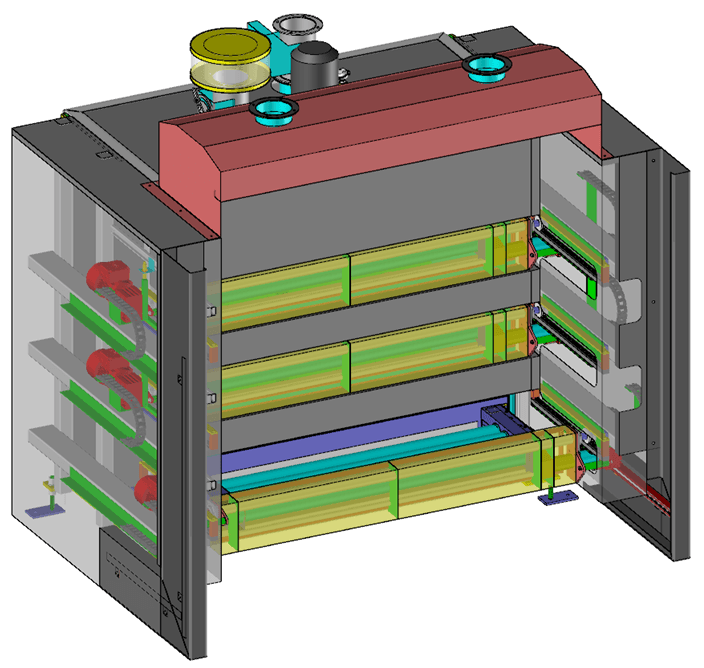 All types of heat sources are available: gas-fired with or without heat exchanger; electrically heated ; water-steam-oil battery heated; uniform air distribution: for each project, the best air flow type is chosen based on the product configuration. With possibilities of top-down, bottom-up, top-bottom, longitudinal or multi-flow we assure the oven to have the required temperature uniformity. 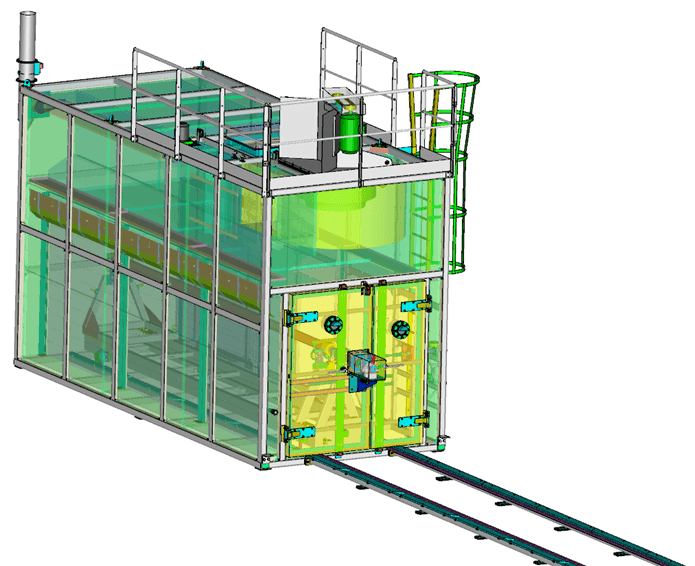 All batch ovens are assembled, wired and tested in our workshop including the supply of temperature test curves. 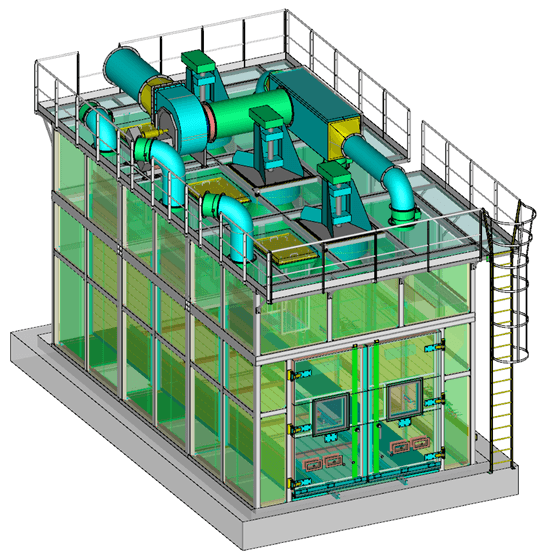 Isotherm, ventilated air volumes and the heating power are specifically defined according the thermprocess. Standard isotherm: for max. 300 °C, +/- 5 °C. 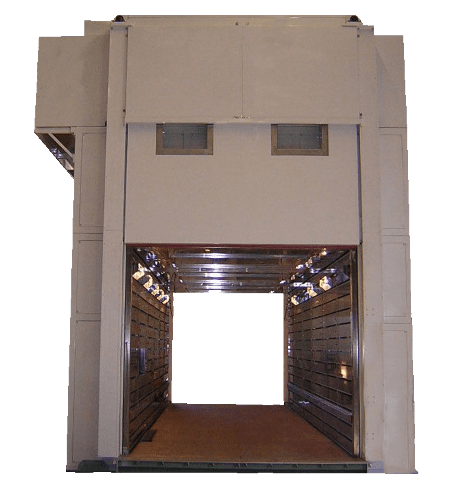 Customized access solutions according the loading and unloading procedures. One leaf or double leaf doors. Motorized sliding door. Cover that can be opened from the top for loading/ unloading . Motorized drawer system. Roller hearth furnaces. Bell type furnaces. 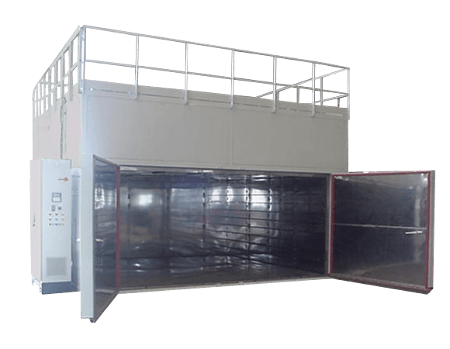 Forced/refrigerated air cool down system, handling system for loading/unloading, controls for pressure/vacuum/humidity, VOC treatment, heat exchangers, temperature recorders, and many other optional items. Our batch ovens have a wide range of applications : polymerization, drying, annealing, tempering, vulcanization, curing, preheating, thermal treatment, stabilization, ageing etc. Industrial batch oven for forming. Working temperature at 200 °C; cooling at 0 °C. 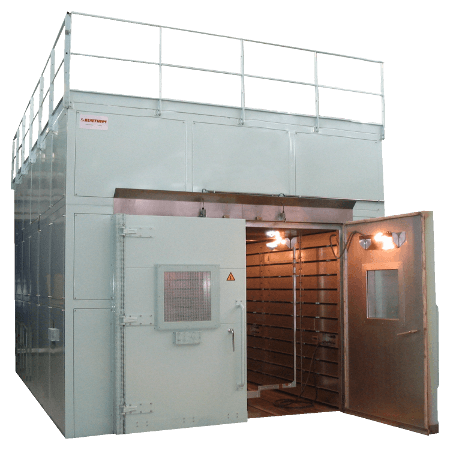 Battery heated batch oven for curing (150 kW); 3 regulated temperature zones; vacuum and pressure regulation. Batch oven for polymerization and forming. Industrial oven with convected air. 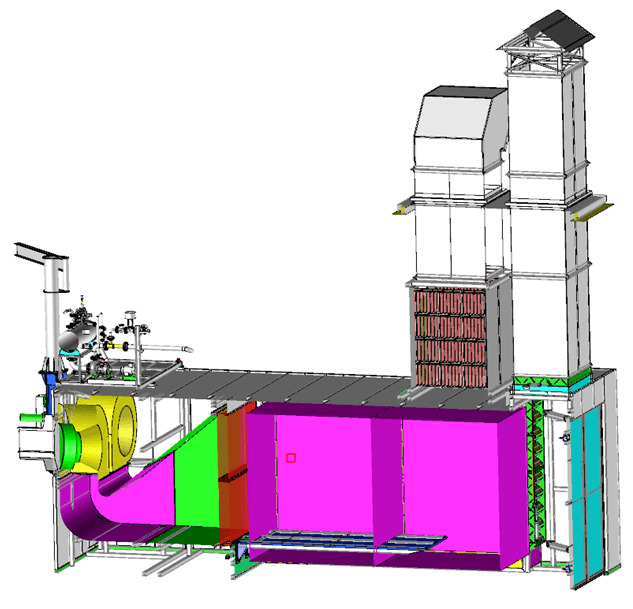 Batch oven for composites. Electrically heated, total power 150 Kw. 3 regulated temperature zones.